Manning LED lighting fixtures are up to 90% more energy efficient than incandescent alternatives. Never replace a light bulb again. Manning LED lighting fixtures have warm, natural color, making them suitable for all types of environments. Each 56-watt LED module takes the place of a 500-watt incandescent PAR lamp. Replacing your existing lamps with an LED upgrade is easy: modules simply snap into the clips originally designed to hold the incandescent lamps. The integral LED driver is compatible with a variety of dimming systems, including TRIAC, ELV and 0-10 volt. LED options are already available for many of our standard products in the wide array of categories you’ve come to expect from Manning. And many more LED lighting fixtures are on the way! Or if you like the look of your current lighting, you can still take advantage of the many advantages of Manning’s LED lighting fixtures. An LED upgrade replaces the “guts” of your existing fixtures to improve the appearance, efficiency, and performance. Your local electric utility might be able to help cover the cost of upgrading to LED in the form of rebate offers. Incentive programs and policies vary across the country, so contact your local Manning rep to learn about what rebates might be available in your area, or visit www.dsireusa.org for more information. We’ll spare you the technical details here: Think of an LED as a tiny light bulb that lives on a circuit board. A power supply called an LED driver is necessary to convert standard line voltage to the low voltage that the circuit board requires. What are the benefits of LED vs. conventional lighting? Lower energy costs, and reduced maintenance. 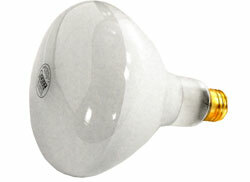 For example, an incandescent fixture that uses 1500 watts can be replaced with an equivalent LED model that uses 150 watts. Plus, the LED components are rated to last 50,000+ hours before replacement is required. That’s decades for most churches! Need some help with LED terminology? Lumen: A unit measurement of the rate at which an LED or other source produces light. Delivered vs. Initial Lumens: Initial lumens is a measurement of the total light an LED source is producing before operational efficiency is included. Delivered lumens is a measurement of the actual amount of illumination a light fixture is producing in a space, including the efficiency of the reflectors, the fixture housing, and other factors. CCT: Correlated Color Temperature is a measure of an LED source's color appearance. Manning Lighting offers LEDs with CCTs from warm incandescent-like color (2700k) to cool (4000k). CRI: Color Rendering Index is a measurement of how well a light source renders the colors of objects it illuminates. A CRI of 100 means the colors of objects are as they would appear under an incandescent lamp or daylight. The industry standard for CRI for most applications is 80 or more. L70: The L70 value is the period of operating hours until the LED's lumen output has depreciated to 70% of its initial output. Since LEDs don't "burn out," this value is generally accepted as the product's useful life. Are there any downsides to LED technology? LEDs produce heat (but this isn’t a problem if the fixture is designed to manage it properly). Care must be taken to ensure compatibility with dimming systems. Look for controls that are specifically rated for use with LED. Most LED component failures are due to exposure to static electricity during installation or maintenance, or to voltage surges on the electrical circuit or panel. Avoid touching the LED boards and take precautions to limit static when maintaining the fixtures. We also recommend a surge protection plan be incorporated for all LED lighting panels. What kind of LEDs does Manning Lighting offer? We offer different LED types depending on the fixture shape, size, and lighting requirements. Sconces use LED boards, while pendants use both boards and LED downlight or uplight modules. We use only high quality LED components from proven manufacturers including Cree, Osram, and Lutron. LEDs can dim very well if they are connected to the proper dimming controls. Manning fixtures are compatible with most systems, including incandescent dimmers (also called leading edge or Triac), electronic low voltage dimmers (also called trailing edge or ELV), and 0-10v dimmers (also called fluorescent). Theatrical controls such as DMX are also an option. Whichever system is used, we recommend you proceed with caution. Most dimmers have a maximum LED load that can be applied, often as little as 10% of its nominally rated value. Since it’s impossible to test every LED option with every dimmer type, it is advisable to test a particular fixture with a specific dimmer beforehand to ensure that the combination will work as expected. Look for controls that specificially mention compatibility with LED equipment. LEDs don’t burn out like regular sources. Instead, they gradually grow dimmer over time. 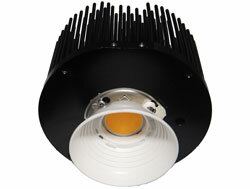 LED longevity is typically rated as the time it takes until their light output is reduced to 70% (or L70). Our components are rated to have an L70 of 50,000 hours or more. LED equipment costs more than incandescent, fluorescent or other sources. However, when you factor in savings in energy, maintenance, initial cost of lamps, and dimming controls, LEDs will always have a relatively short payback time to recoup the initial cost. Can I upgrade my older Manning fixtures to LED? Yes. 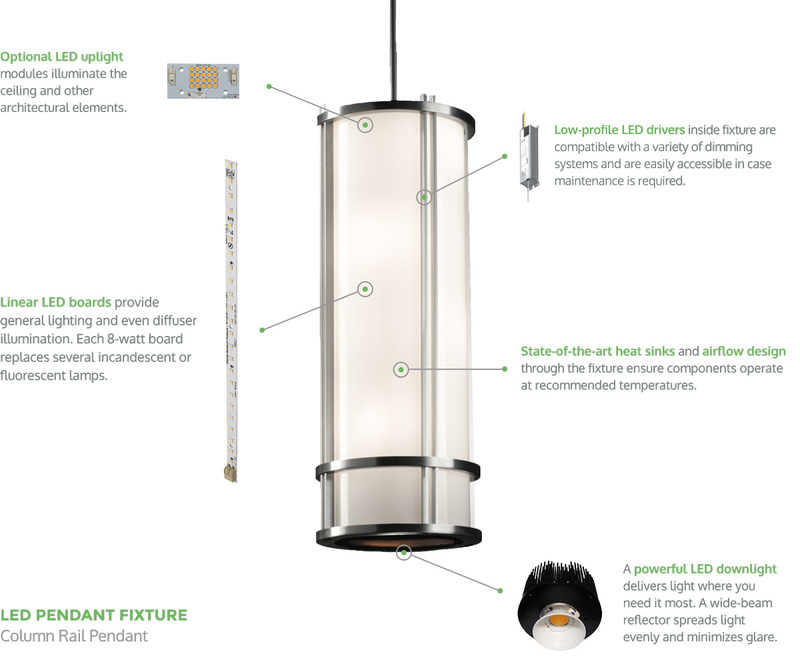 Our fixtures have always been designed with a modular approach, so replacing incandescent, fluorescent, or other sources with LED can be very cost-effective. Even products not originally made by Manning Lighting can usually be upgraded to LED. What's the difference between a retrofit LED light engine from Manning Lighting and buying screw-in LED light bulbs from a local hardware store? Higher Maintenance Costs: Screw-in bulbs have a shorter rated life than dedicated boards and modules (usually less than half as long). Lower Light Levels: Bulbs don’t provide nearly as much light as dedicated LED downlight modules. Spotty performance: Bulbs don’t illuminate the acrylic or glass diffuser panels of the fixture as evenly as LEDs. Color: The color temperature of LED bulbs ranges from warm to cool – even among bulbs from the same manufacturer. Color consistency, and the ability to accurately show the colors of your church—the wood, the artwork, and even the people, is much better with dedicated LEDs. After all, who wants to see a green bride?